A top round roast is a tender cut of beef. 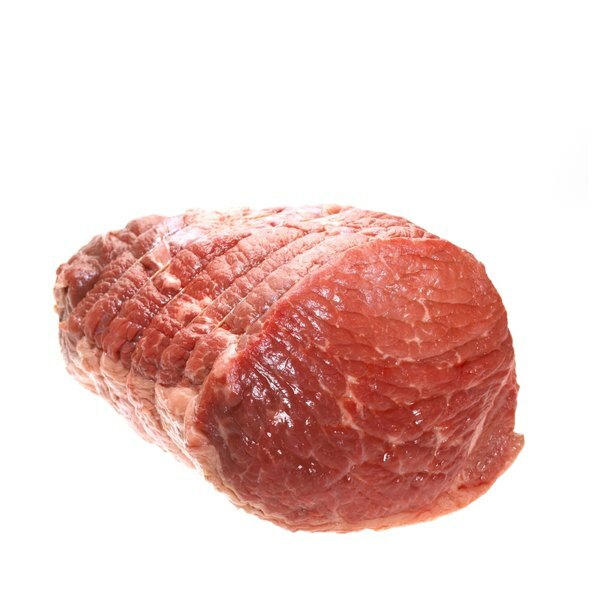 A top round roast is one of the leanest cuts and is fairly tender compared to other cuts from the round section, according to Lori Alden of the Cook’s Thesaurus. 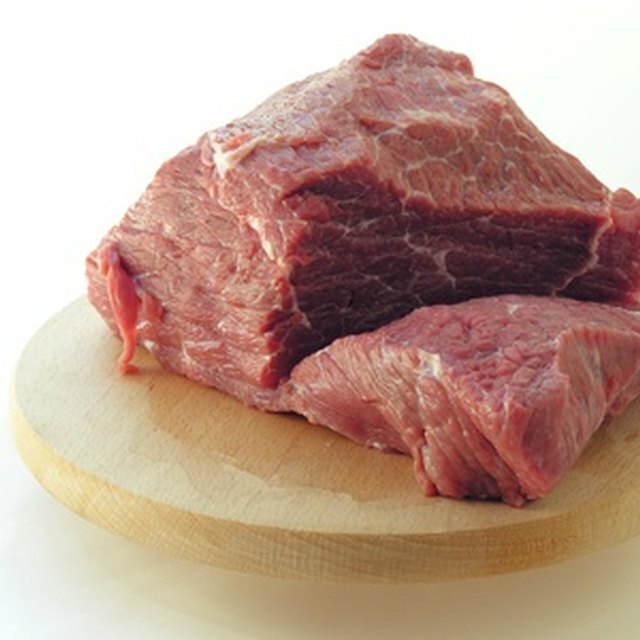 The Texas Beef Council suggests braising this cut of beef in moist heat for best results. Braising melts chewy connective tissue into a delicate, gelatinous substance. Prepare potatoes alongside your entrée to save time and reduce cleanup. Dry the meat with a paper towel. Combine flour, salt and pepper in a small bowl. Dust the roast with the mixture and rub it into the meat with your hands. Place the meat in a covered container. Allow the meat to stand at room temperature up to 30 minutes. Introducing cold meat to a hot pan burns the outside of the food and toughens the interior. Add cooking oil to a Dutch oven and turn the burner to medium high. Heat oil until a droplet of water dances on top of the oil. Carefully add the meat, taking care to avoid splattering oil. Brown the meat on all sides until it is a deep brown. Browning triggers the Maillard reaction that gives food flavor. The Maillard reaction occurs when meat on the outside of the cut reaches a higher temperature than the meat inside. Specifically, the exterior of meat must reach temperatures of 300 to 500 degrees Fahrenheit to initiate the Maillard reaction, according to Exploratorium, the Science of Cooking. Turn the heat to high for 1 minute. Splash a ½-cup of beef broth quickly to the Dutch oven to deglaze the pan. Beef broth adds a deep flavor to your meal and adds the fluid you need to properly braise the beef. Deglazing lifts the browned, flavorful chunks of meat stuck to the bottom of the cooking vessel, bringing flavor and texture back into the dish. Reduce the heat to medium. Slowly add broth until the fluid level reaches about halfway up the cut of beef. Cover the Dutch oven with a tight-fitting lid so no steam escapes the cooking vessel. Peel the potatoes lightly, leaving some edible skin to enhance flavor, appearance and nutrition. Cut the potatoes into large cubes or use whole, small potatoes. Put the potatoes in a large bowl and fill with water until the potatoes are complete submerged to prevent browning. Refrigerate. Cook the meat for about an hour and a half, checking rarely to ensure there is sufficient broth to prevent burning. Add the potatoes. Add broth as necessary to keep levels about midway up the meat. Reduce the heat until the juices are simmering. Cook for another 60 to 90 minutes, until the potatoes are tender. Check the dish rarely, flipping the meat and pressing the potatoes down into the juices as necessary. Remove the dish from the stove and place away from heat. Allow the dish to stand for 3 minutes to let the food finish cooking.